achievements of the highest perfection." 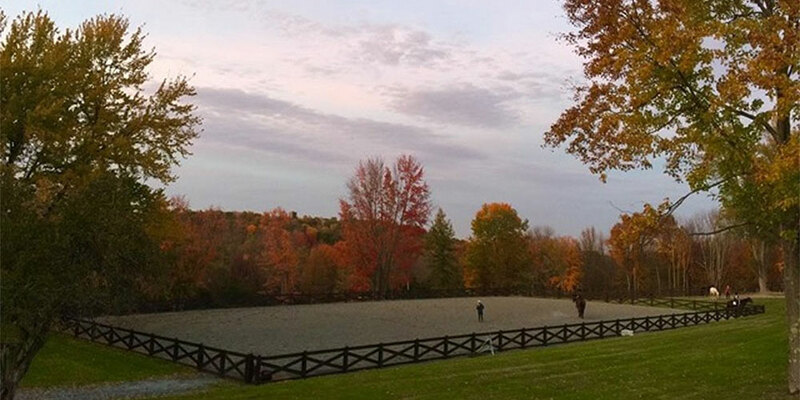 Raven Hill Farms is a Private Riding Club specializing in dressage, created to enhance the equestrian experience for the rider who is seeking to be a member of an active and social group focused on deepening and strengthening their partnership with their horses. 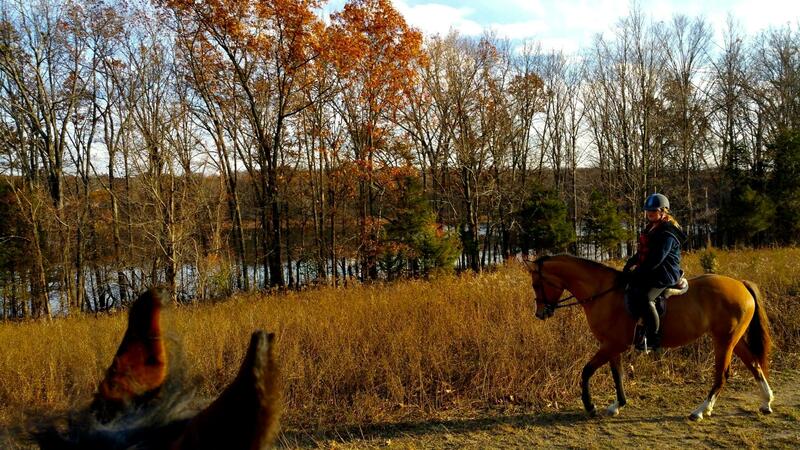 At RHF we combine our love of horses with friendship, parties, clinics, trail rides, horse shows as well as other equine adventures! 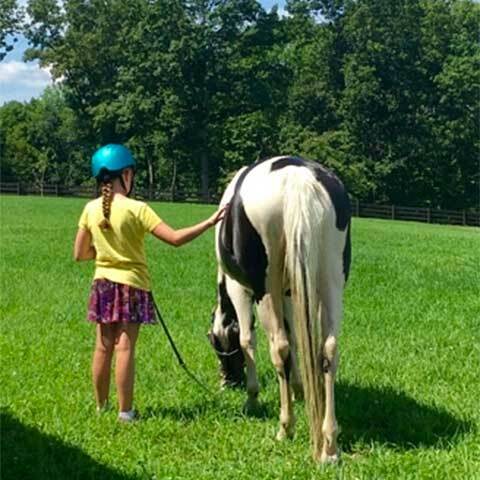 We support and encourage one another in a non-judgmental atmosphere where we all strive to improve our riding skills and to achieve harmony with our horse. Times Herald-Record, Sep 3, 2017: TOWN OF WARWICK – Horses have their own way of talking back. They can be stubborn, uncooperative or dismissive, just like people. That’s why they are the perfect patient substitutes for first-year students at Touro College of Osteopathic Medicine in Middletown who are learning about bedside manner, according to Deirdre Hamling. 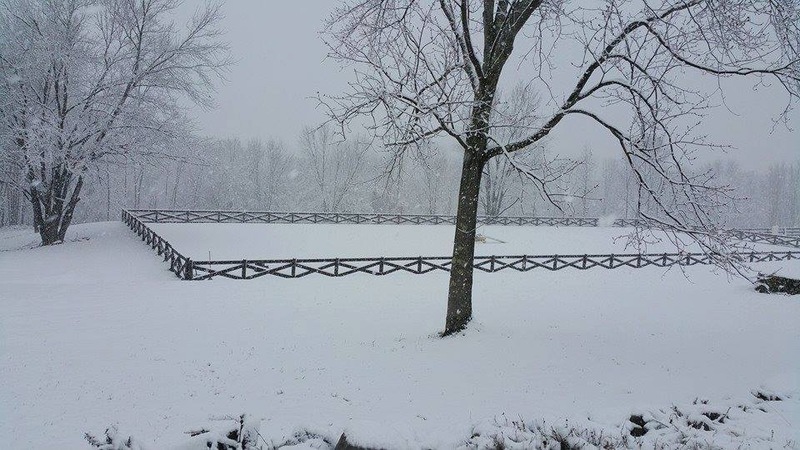 Hamling is the owner and operator of Raven Hill Farms on Glenmere Avenue, just outside the Village of Florida. 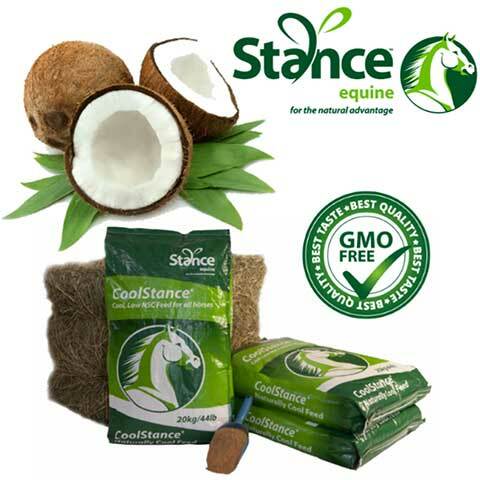 “Horses are sensitive to their surroundings and respond immediately to the energy and emotions around them,” Hamling said. Horses have been used for more than just riding and pulling since the 1990s, when equine-assisted therapy was first developed by Nebraska-born Greg Kersten, founder of the Equine Assisted Growth and Learning Association. 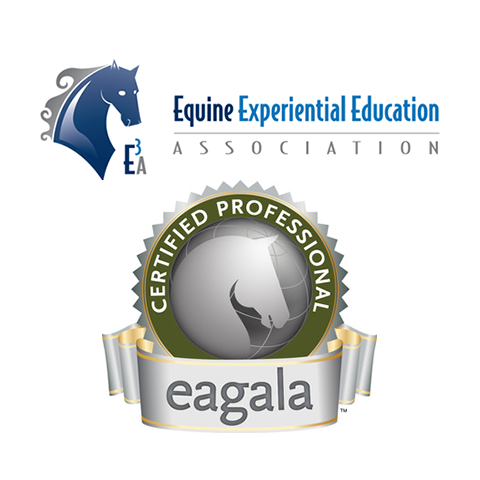 The original EAGALA model uses horse behavior to help people understand themselves. 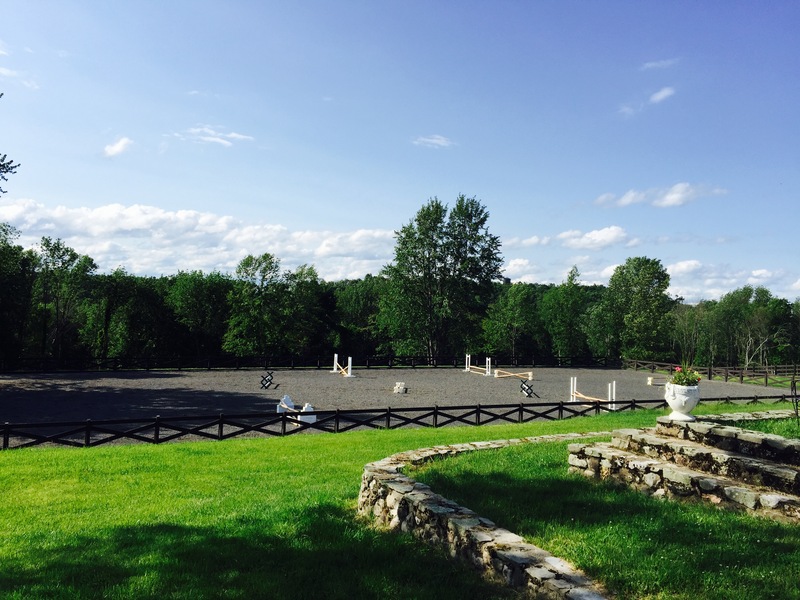 It is now an international nonprofit that teaches equine-assisted therapy and development. 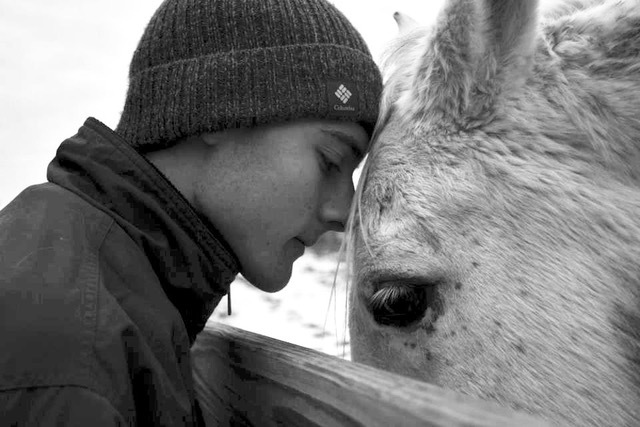 Horse therapy can be used to help veterans with post-traumatic stress disorder, students with special needs and individuals with a variety of mental-health issues like anxiety, addiction or abuse. 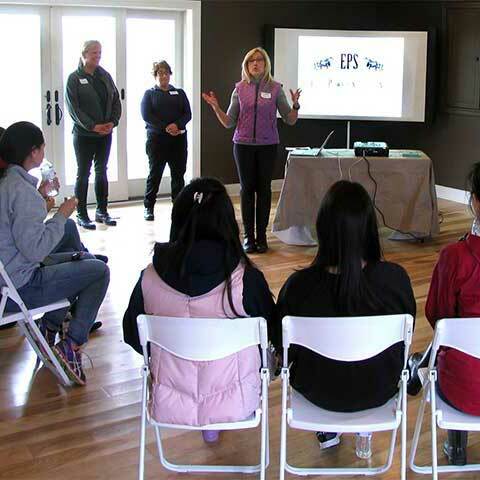 More recently, the Equine Experiential Education Association began in 2006 with a focus on using the human-horse connection for corporate training and professional development. 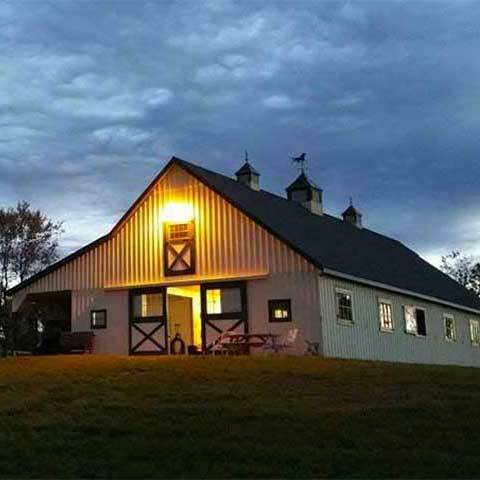 At Raven Hill Farms in the Town of Warwick, owner Deirdre Hamling used her certification in both programs to create Equi-Power Solutions, a program for professional or personal development. Her farm uses Equi-Power Solutions, a program for professional development she developed. Students at one medical college in Orange County are getting hands-on experience in a very unique way. 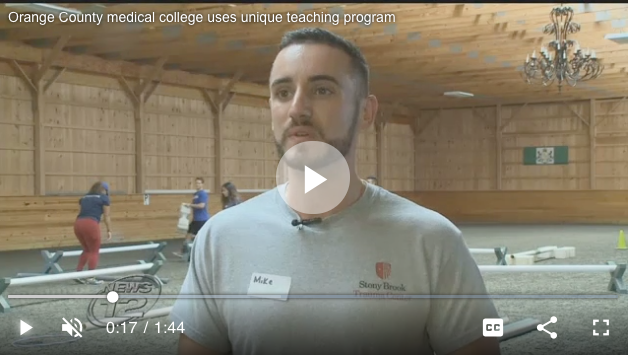 Students at Touro Medical College in Middletown are using horses instead of people as part of their training. 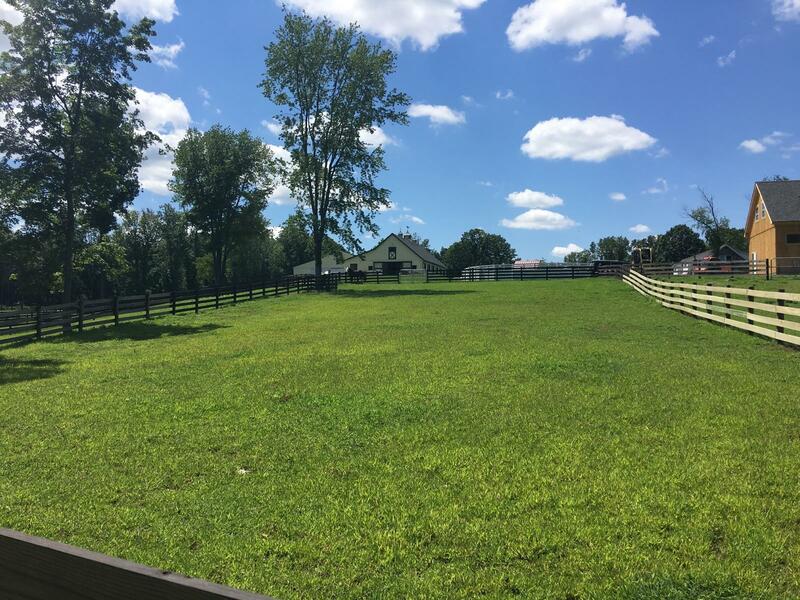 The course is offered at Raven Hill Farms in Florida and offers an introduction to medicine. Program coordinators say the course helps students learn how to interact with new patients. 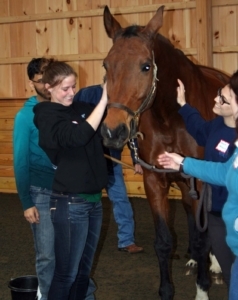 The students focus on body language and cues from the horses just like they would if they were treating real patients. 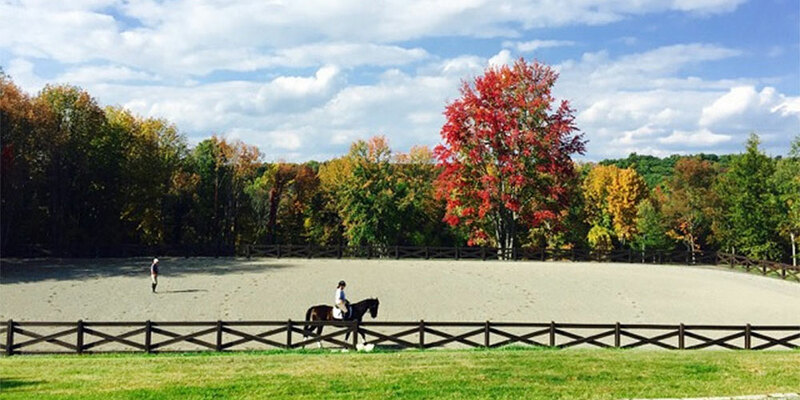 Touro is one of a handful of medical schools nationwide offering the Medicine and Horsemanship program. Eighteen first- and second-year medical students from The Touro College of Osteopathic Medicine in Middletown along with their professor, Dr. Alex Joanow (second from left), Director of Development Deirdre Hamling (far right) and staff recently enjoyed an unusual and intriguing afternoon at Raven Hill Farms, a local horse farm in the Town of Warwick. 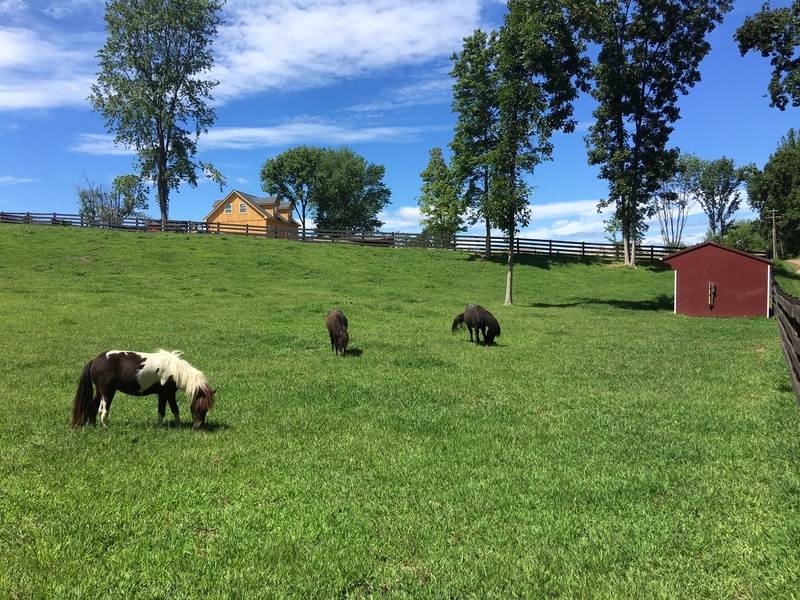 The session at Raven Hill Farms began in a newly constructed conference room with an overview of the program, a review of horse dynamics, and an emphasis on learning in a non-judgmental, open ended and fun manner. Facilitators included Director of Development Deirdre Hamling (speaking center), owner and operator of Raven Hill Farms, equine specialist Susan Stegmeyer and licensed clinical social worker Bonnie Malajian. 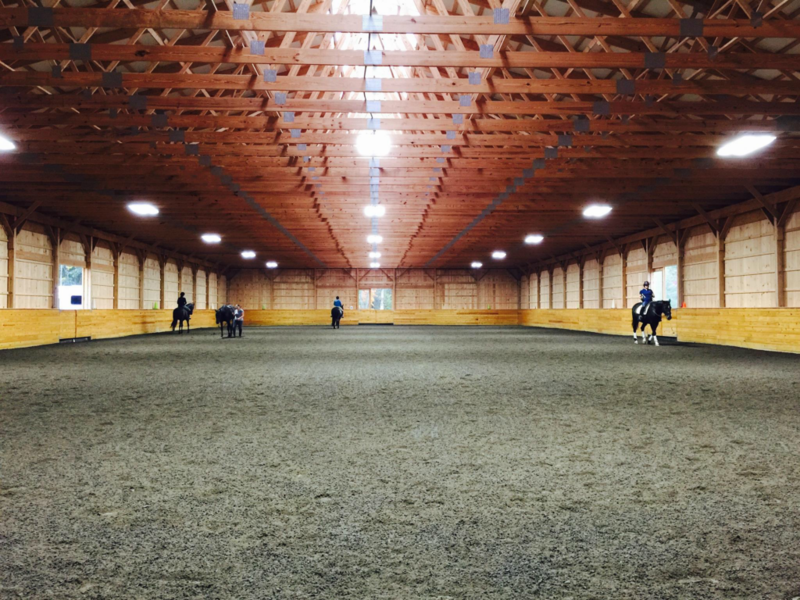 Following the introduction, the group moved to the large indoor arena where five horses of different shapes, sizes, and temperaments were the focus of the students to use their observation skills to interpret the horse’s behavior. Breaking into smaller groups the students chose the horse they preferred to work with. 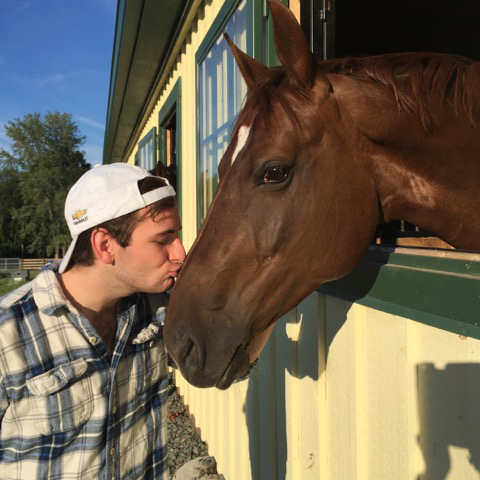 WARWICK — Eighteen first-and second-year medical students from Touro College of Osteopathic Medicine in Middletown, along with their professor and staff, recently spent an unusual afternoon at Raven Hill Farms, a local horse farm in the Town of Warwick. The students participated in an innovative training program designed to transform the doctor-patient relationship. 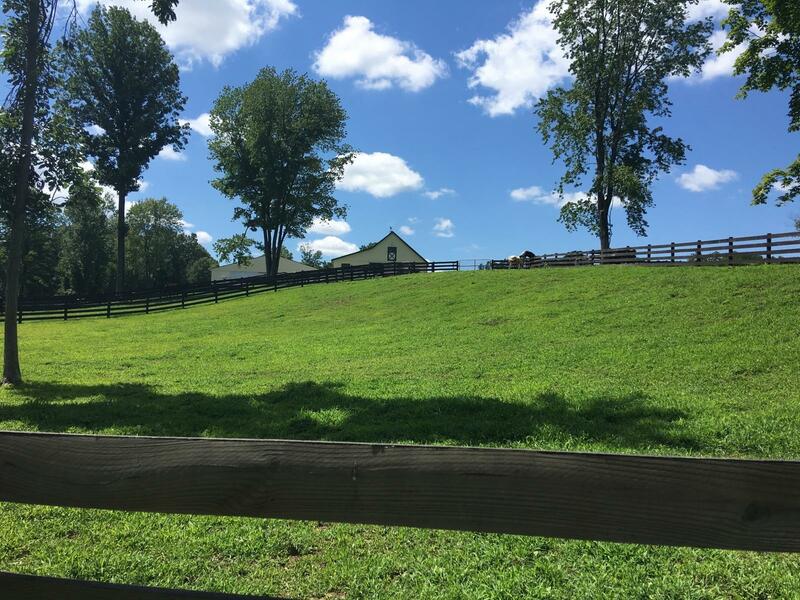 Raven Hill Farms, situated on 36 acres, is home to Equi-Power Solutions, an equine experiential learning program for personal and professional development. 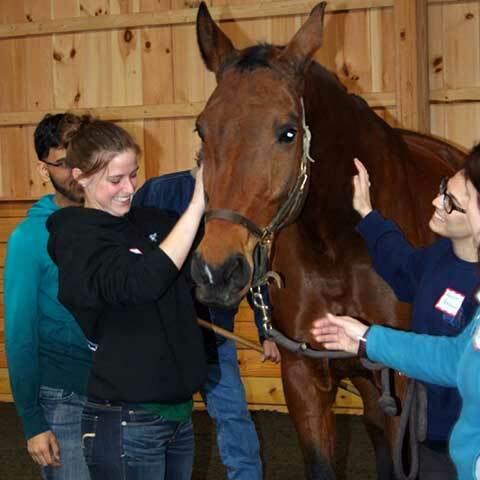 On Friday, March 11, the students took part in the Medicine and Horsemanship program, created to enhance the health care professional’s awareness of non-verbal communication skills to more effectively connect with patients. The program was originally developed by Dr. Beverly Kane and Dr. Allan Hamilton and initiated at Stanford University in 2005. The program has expanded around the globe and is incorporated into the curriculum at Mass General University, UCSF, and University of Arizona to name just a few. 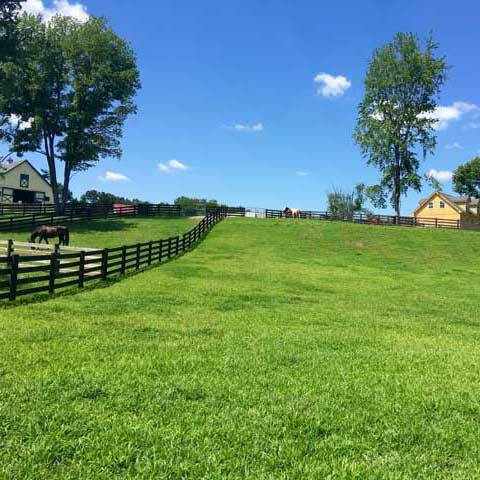 The session at Raven Hill Farms began in a newly constructed conference room with an overview of the program, a review of horse dynamics and an emphasis on learning in a non-judgmental, open-ended manner. Facilitators included Director of Development Deirdre Hamling, owner and operator of Raven Hill Farms, equine specialist Susan Stegmeyer and licensed clinical social worker Bonnie Malajian. 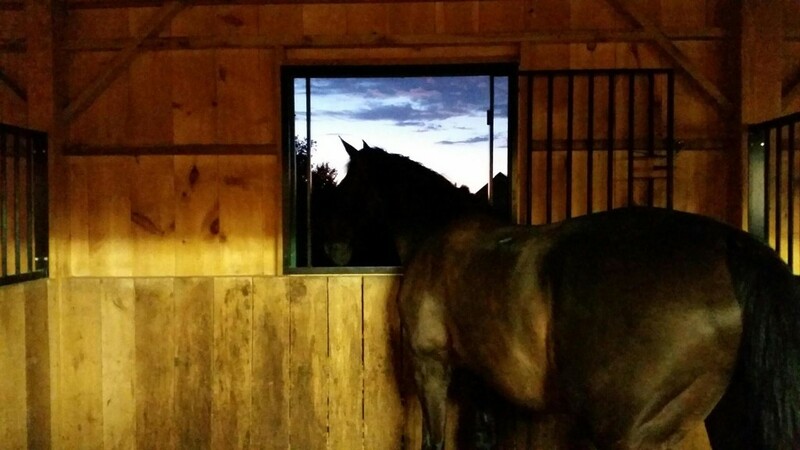 Following the introduction, the group moved to the large indoor arena where five horses of different shapes, sizes and temperaments were the focus of the students to use their observation skills to interpret the horse’s behavior. Breaking into smaller groups the students chose the horse they preferred to work with. As they groomed the horses they became aware of how their approaches needed to differ from horse to horse and were surprised by how much their intention effected the reactions of the horses. In the second exercise, the group was asked to construct a pathway out of various poles, rubber cones and assorted balls that would represent their journey through medical school. And his or her task was to get each horse to travel the pathway without the help of any halter or lead ropes. 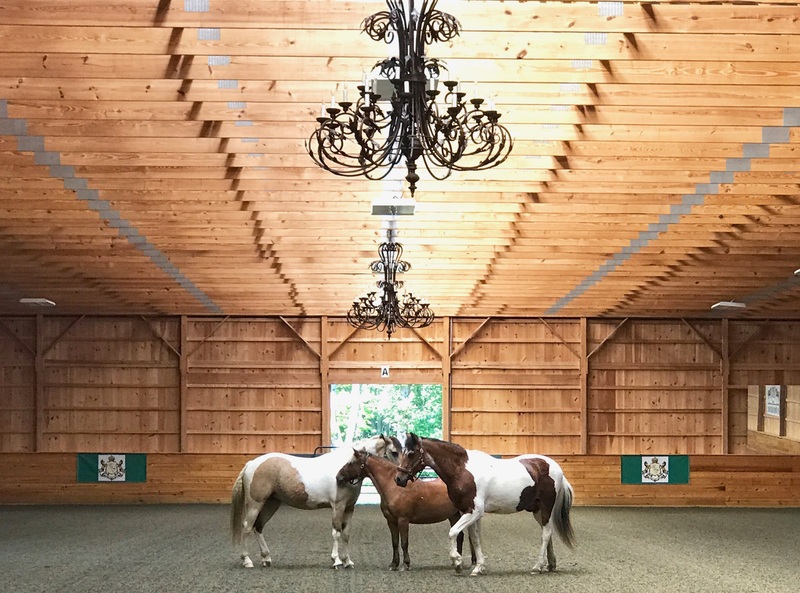 Each and every moment was filled with learning opportunities that were later discussed when the students returned to the conference room, where there were numerous comparisons of how the horses behaviors mirrored the intention of the students, often in remarkable ways. These moments were designed to enable the students to discover how their actions, whether conscious or unconscious, played a pivotal role in their relationships with their patients as well as with the other students. The skills learned working with horses, she explained, help participants build confidence, mindfulness and emotional intelligence. The entire program was embraced by all the students. 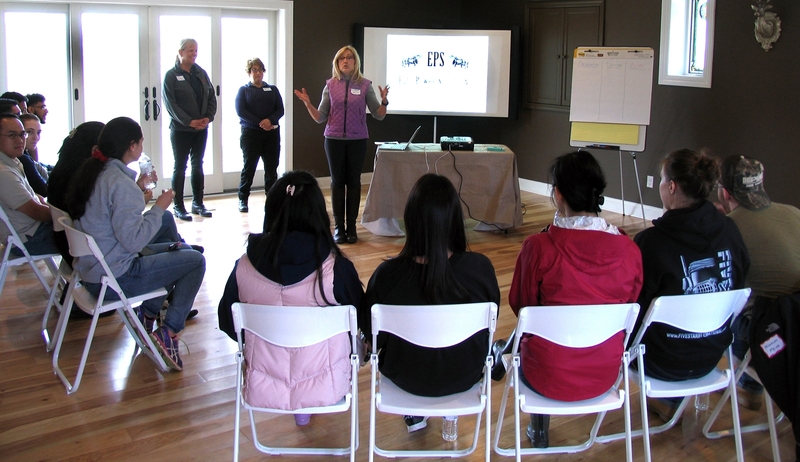 In addition to this program, Equi-Power Solutions offers corporate development, team building and leadership workshops as well as personal development sessions for individuals, couples, families and groups. 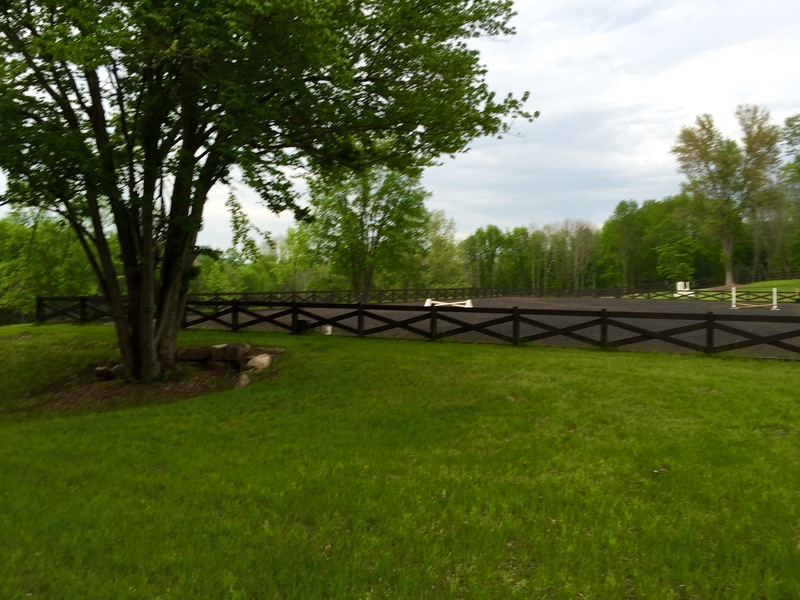 All sessions are unmounted, interactive, solution-based with no previous horse experience necessary. 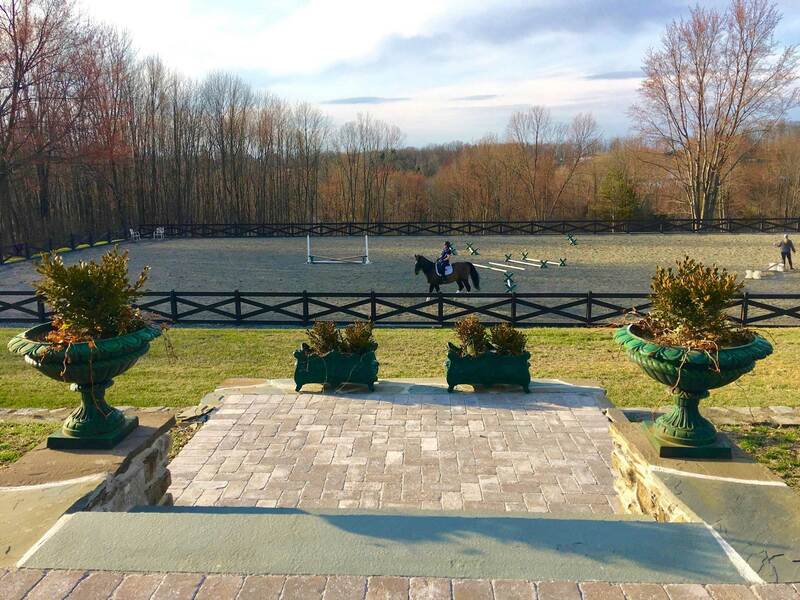 Raven Hill Farms is a private riding club and home to Jockey Hollow Pony Club as well as a full service equine boarding and training facility. For additional information contact Hamling at 845-987-6965. FLORIDA — The East Coast Mounted Patrol Association is an organization that promotes professional training for law enforcement units and civic organizations involving horses. Its mission is to bridge the gap between law enforcement and the civilian community through the medium of horses and training. 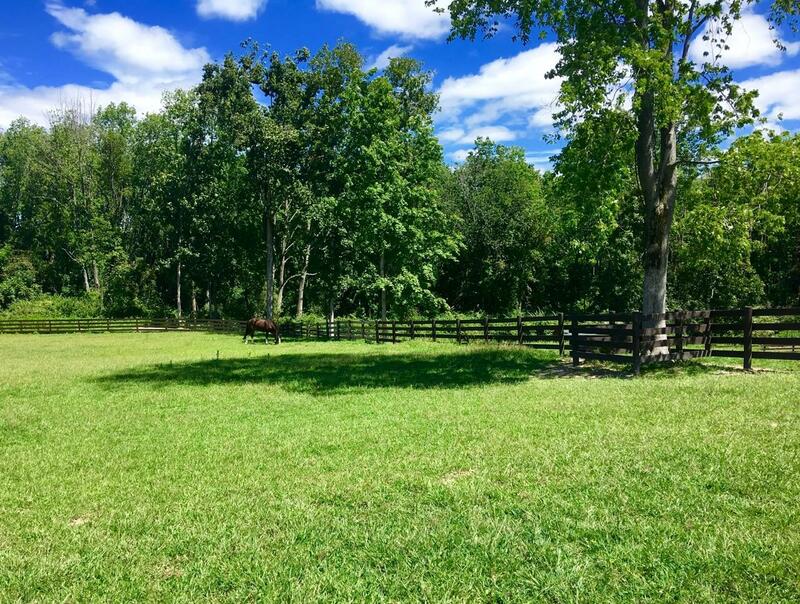 On Saturday, Feb. 17, East Coast Mounted Patrol Association founding members Mary Elena Moran and Ric Sutton offered “A Mounted Police Experience” clinic, hosted by Deirdre Hamling and her Raven Hill Farms in the Village of Florida. 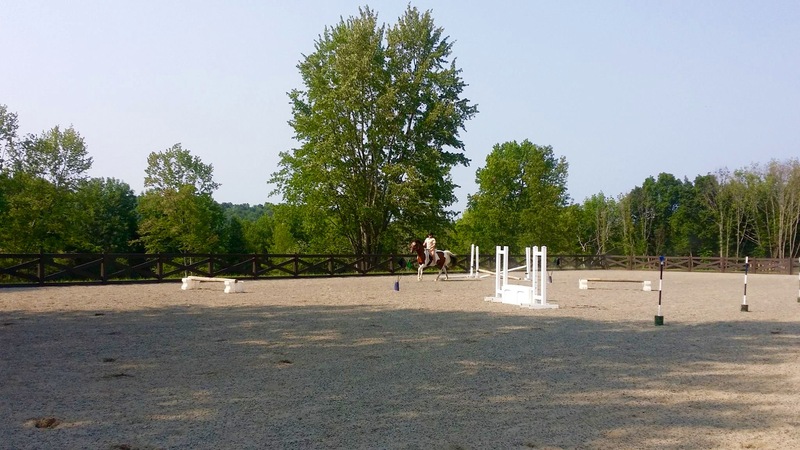 It was a unique training opportunity for local horses and riders as well as guests from out of town. 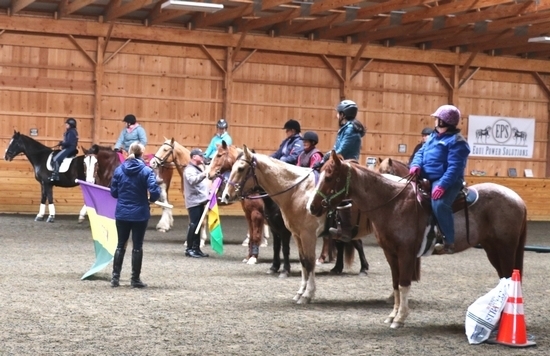 The clinic focused on developing confidence for both horse and rider through sharing training techniques commonly used by mounted police organizations. The two instructors emphasized formation riding, crowd control, basic search and rescue, desensitization, and obstacle training. 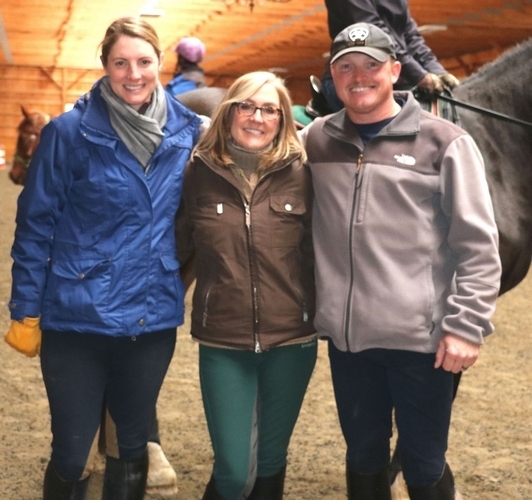 Instructor Moran of Goshen is member of the New York State Police Department’s Mounted Unit and professional horse trainer whose “From Kill Pen to Cavalry” program transforms rescued horses into confident police horses and then donates them to mounted police units. Sutton of Chesapeake Virginia, a member of the Virginia Beach Police Department, has 33 years experience as a multi-disciplined instructor with an emphasis on mounted police operations. 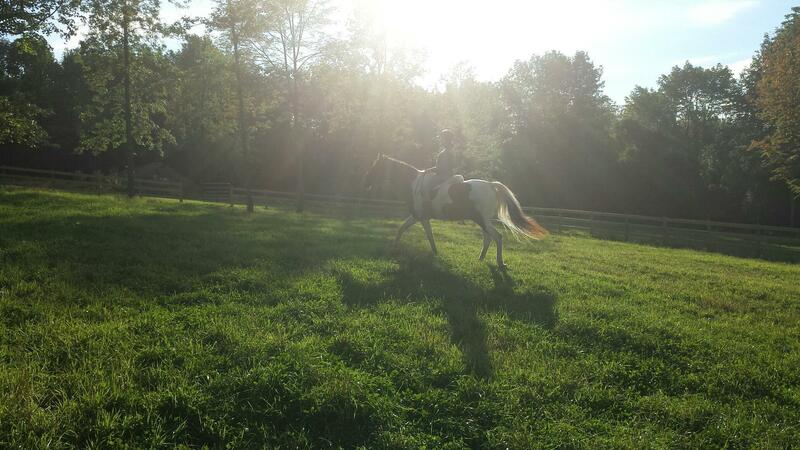 He is also a Level 3 American Riding Instructors (ARIA) certified instructor. Hamling, who has known and worked with Moran for several years, reported that she was very impressed with the clinic and the dynamic synergy of Moran and Sutton’s expertise. 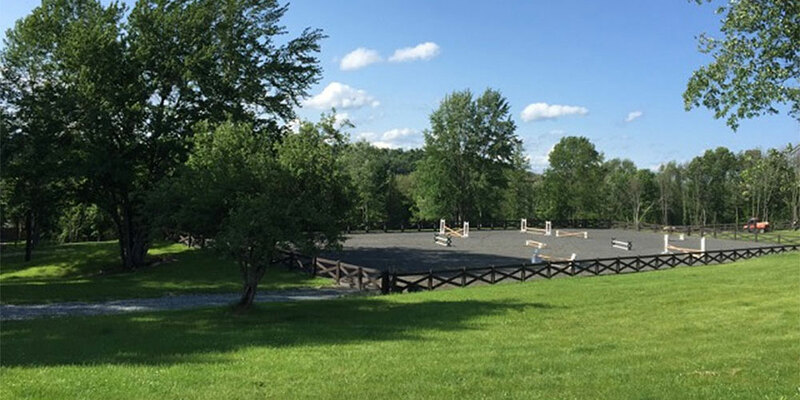 “We are planning several more clinics with this amazing team,” she said, “including desensitization for the dressage rider and a two-day adult summer camp. 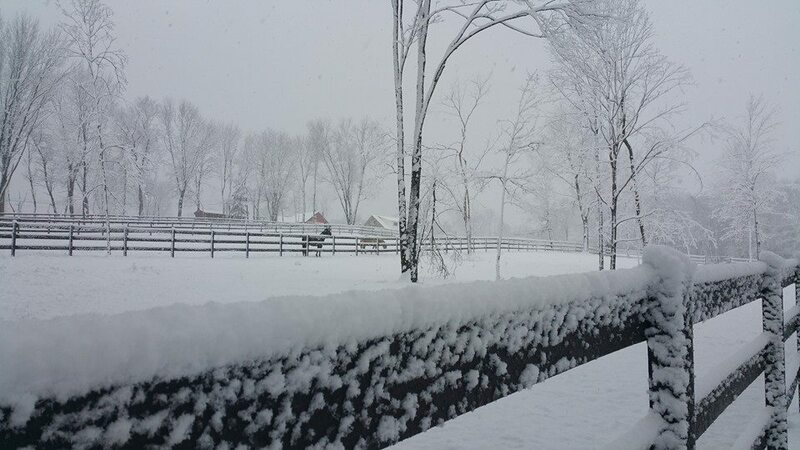 For dates and additional information visit Ravenhillfarms.com and Face Book. 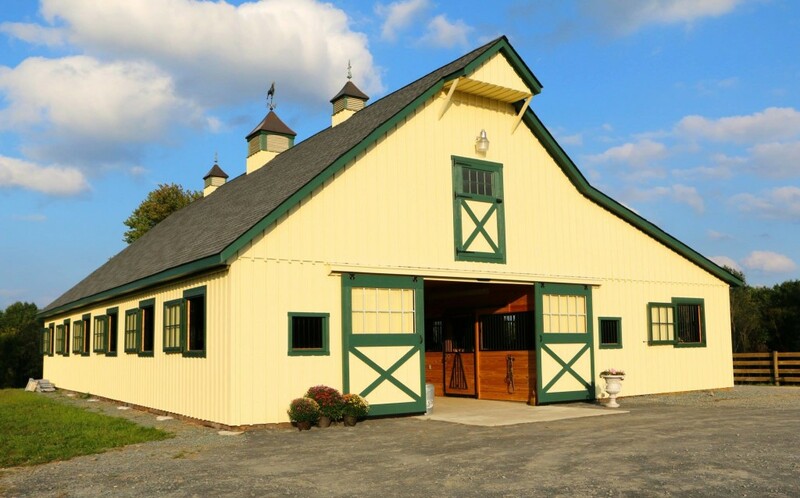 A Huge thank you to Ginny & Kathy of E3A for choosing Raven Hill Farms to host C-2 & C-3 Training this past week and to all the participants who traveled from California, Colorado, Georgia, Virginia, Maryland, Missouri, Texas, Ohio, Rhode Island and New Jersey & New York! May you all have safe journeys home and best of luck in your new Adventures!! One of many workshop programs we can offer your group! Our girls empowerment program workshop has been one of the most successful because the young women really respond to forming lasting friendships, supporting each other, discovering the value of teamwork, and self-reliance.